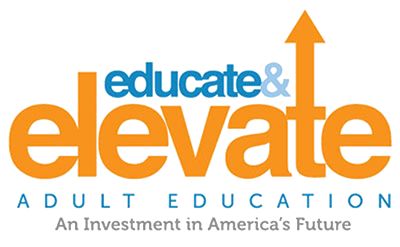 As the U.S. House and Senate appropriations committees determine how to allocate new nondefense discretionary funds for fiscal year 2018, the Coalition on Adult Basic Education (COABE) and the National Council of State Directors of Adult Education (NCSDAE) urge Congress to direct $100 million to adult education to reach more of the 36 million Americans with low literacy, putting them on the path to social mobility and strengthening our nation’s workforce and economic vitality. 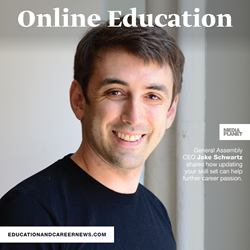 In their latest article to raise awareness about the value of adult education, COABE Executive Director Sharon Bonney and NCSDAE Executive Director Pat Tyler express as a key point the need for change in the approach to, and perspective of, adult education. The article titled, “The Relevancy of Adult Education in the Workforce of Today and Tomorrow,” was published as part of the U.S. Chamber’s blog. The failure of the U.S. to reverse its widening education gap has gone on too long. The social stratification and economic isolation among various demographic groups that we see today, if left untreated, can transform into a significant threat to the U.S. economy and general social stability. Adult education programs are crucial to alleviating this gap and helping all Americans achieve economic and social mobility. Mediaplanet, an independent publisher of content-marketing campaigns, today announces the distribution of its tenth cross-platform edition of “Online Education.” The campaign aims to highlight online education in its various forms. Mediaplanet has joined forces with the Coalition on Adult Basic Education (COABE) to educate readers on its Educate and Elevate Campaign which is working to raise awareness on the many faces and relevancy on adult education. Starting on September 27th, featured within USA TODAY and on Mediaplanet’s digital content hub, COABE shares how their campaign is working to urge policy makers on why the continuation of funding is necessary. In 2014, the Workforce Innovation and Opportunity Act called for adult education to be funded at a level of $649 million. Now, threats have been made to cut funding by $95 million on issues like adult education and literacy as well as cut by $9 billion from the Department of Education budget in 2018. Their campaign is a national endeavor aimed at highlighting how an investment in adult education represents a bold commitment to America’s future.